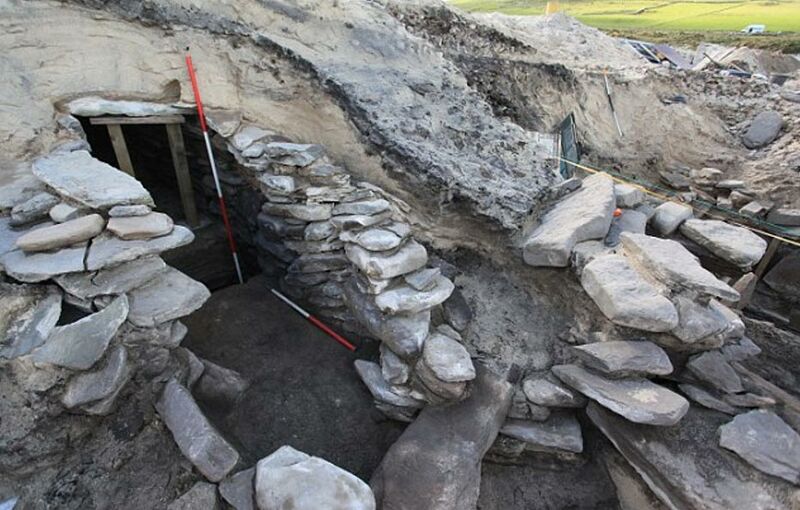 A sauna or steam room dating back about 4,000 years has been discovered on an island of Orkney off the northern coast of Scotland. Researchers say the sauna could have been used for cleaning or healing of the body, childbirth or in spiritual ceremonies. The structure includes a water tank for creation of steam and a network of cells in a complex of structures from between 1000 and 2000 BC that were exposed by erosion at the Links of Noltland. The links are an area of sand dunes on the north coast of the island of Westray that are eroded by the coastal elements and the activity of rabbits. The site has turned up fascinating hints into the ancient islanders’ lifeways and activities, archaeologists said. Scholars think the sweat house may have been used by select members or groups in the community for spiritual or religious purposes, The Daily Mail reports . They also said the people could have used the sauna to clean the recently deceased. It was probably a welcome addition to the community given the harsh winters of the Bronze Age. Archaeologists think, based on experimentation and early Irish literature, that the people who used the sauna heated the water by placing hot stones in the tank to boil it and make steam. Afterward, experts speculate, the people used the hot water for bathing, cooking or cleaning. The Bronze Age settlement on Noltland has been general knowledge for years, but the site wasn’t excavated until the 20 th century. Dr. David Clarke excavated one Neolithic building there that had two rooms connected by a passage, says the Orkney Jar website . The dig, from 1978 to 1981, turned up many artifacts, including worked bone, flint and stone items and grooved ware pottery. EASE Archaeology, which did the work on the sauna, started excavations in February 2006, which is early in the season, because it was feared the site wouldn’t have survived until the summer excavation season. Over the years, more structures turned up – more than 30 have been found to date – in addition to midden heaps that contain garbage, cultivated fields and cemeteries. Midden heaps are a valuable source of artifacts at archaeological excavations. 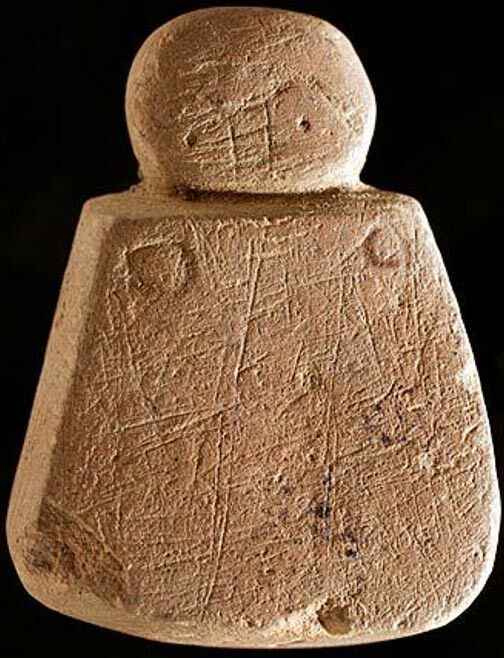 In 2009, the Neolithic Westray Wife or Orkney Venus—the earliest depiction of a human in Scotland—was uncovered at the Links of Noltland. The little carved stone figurine has a head and blocky body with carvings on its face. Another figure was unearthed in 2010. It would be about the same size as the Venus, but the head is missing so stands only about 34 mm (1.5 inches) high. In July 2010, archaeologist Julie Gibson of the Orkney Islands Council said: "This is yet another discovery proving that Orkney is the best place in Scotland for encountering archaeology. From tiny objects to well-preserved Neolithic villages, temples, and grand ceremonial sites, this is the place to study the past in three dimensions." Researchers are doing genetic studies on human remains from the island of Westray from 3000 BC to 500 AD. They hope to glean information about the origins of the 75 percent of the Westray genetic makeup that is not of Viking ancestry. The discoveries from this part of the world just keep on coming! Fascinating to read about it all unfolding and wondering what will come next! Enjoyed the article. Many thanks! Read more about The Ideal Woman’s Body – a Gift of the Gods?